The work of Mark Schatz and Andrea Loefke must be explored in a meandering, searching way. The everyday world is present and recognizable but re-made, new and curious. Shifts in scale and density can alternately engulf the viewer and then draw them into tiny, intimate detail. Cast-off objects find their place amid exquisitely hand-crafted elements. Worlds that are equally haphazard and cultivated are gradually revealed. 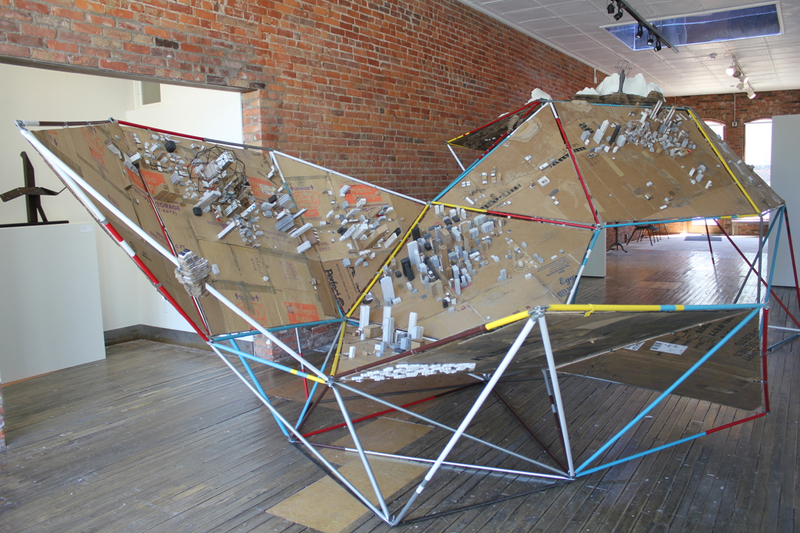 Both Mark Schatz and Andrea Loefke are drawn to the tension between order and disorder. For their exhibition Evergreen and Gold, Schatz and Loefke pursue the potential for transformation within ideals of permanence and stability. Mark Schatz received his BFA in Sculpture from the University of Michigan and an MFA in Sculpture from the University of Texas in Austin. His practice includes sculpture, installation, drawings, and photography and has been shown widely including the exhibition “New Image Sculpture” at the McNay Art Museum in San Antonio. His work is included in private and public collections, including the permanent collection of Texas State University in San Marcos, Texas.Mark Schatz is currently an Assistant Professor and the Foundations Program Coordinator for the School of Art at Kent State University. 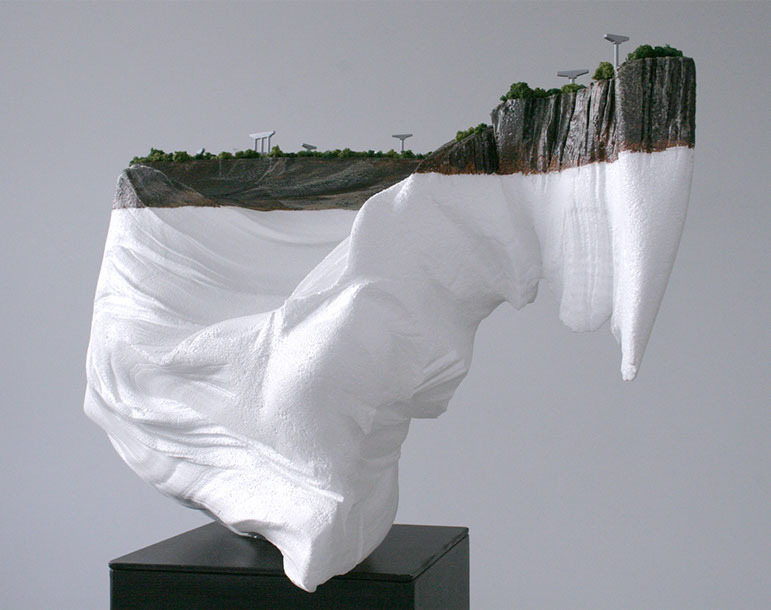 Andrea Loefke is a German-born sculptor with a Masters degree in art education from University of Leipzig, and an MFA in sculpture from Ohio State University. She was awarded residencies at the MacDowell Colony, Smack Mellon and the Bemis Center. 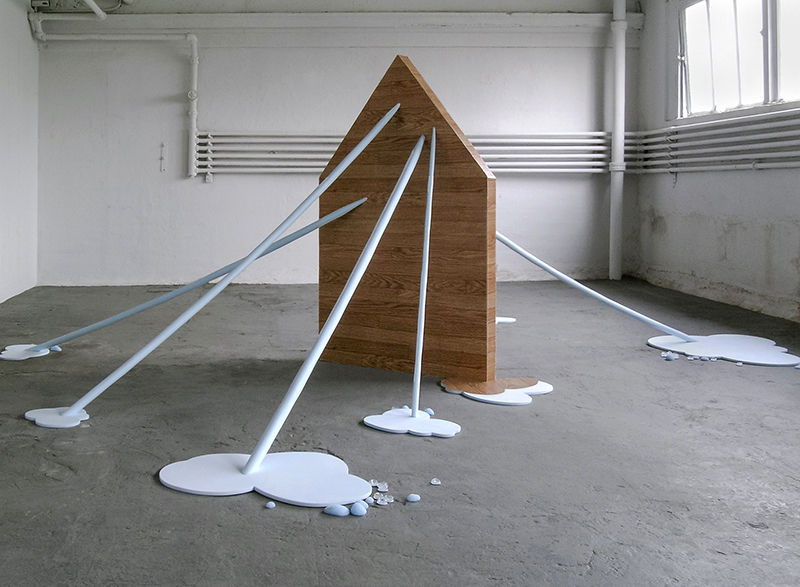 In 2009 Loefke was commissioned to create a permanent installation for the SØR Rusche Collection in Berlin. She received the Pollock-Krasner Foundation Award in 2010. 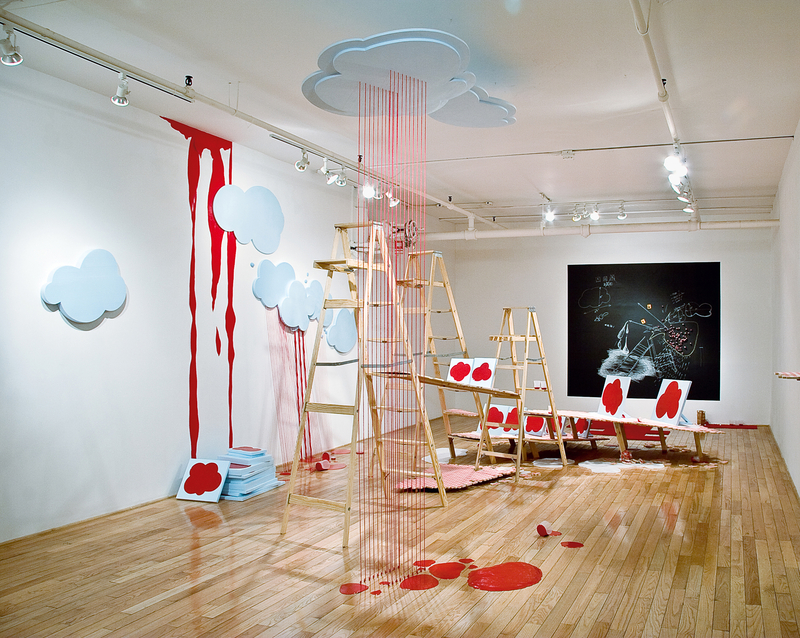 Loefke has shown in over thirty exhibitions, including her most current solo project Homecoming at Smack Mellon, Brooklyn. Her solo exhibitions have received critical recognition from Artforum, Sculpture, Brooklyn Rail, Frankfurter Allgemeine and Juliet.